CHICAGO (WLS) -- Aldi is hiring! The grocery store chain is looking to fill more than 100 jobs by hosting several hiring events at Chicago area stores this month. Available positions vary by store, but include store associates ($13.00 - 13.50/hour), shift managers (associate wage + $4.50/hour when performing manager duties), and manager trainees (starting at $56,192/year with the opportunity to earn $76,000-$100,000 as a store manager). 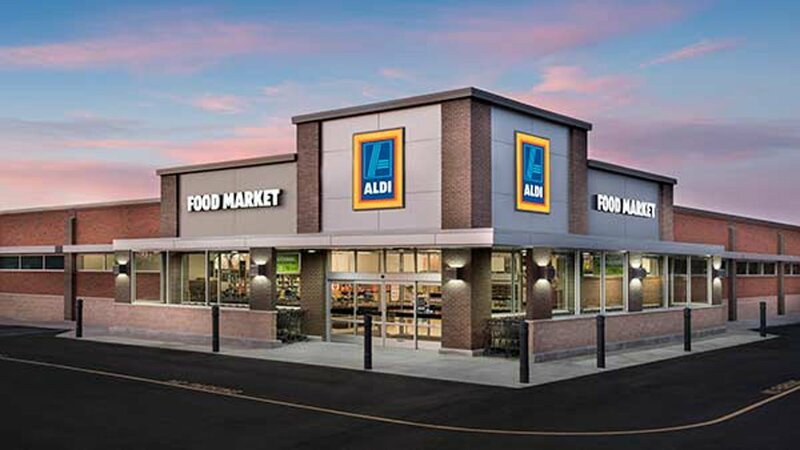 Aldi also offers the following benefits to eligible employees: medical/dental/vision insurance, vacation time and paid holidays, 401(k) plan, among others. Aldi requires potential employees be able to lift and stock merchandise up to 45 pounds, be at least 18 years old and a high school diploma or equivalent is preferred. Applicants must also pass a drug screening and background check. Interested candidates are asked to apply in person at each hiring event. April 10, 2017: 6 a.m. - 9 a.m.
April 11, 2017: 6 a.m. - 10 a.m. Hiring for stores located in Geneva, North Aurora, Batavia, and St. Charles, IL. April 12, 2017: 8:30 a.m. - 6 p.m. Hiring for stores located in Lockport, Bolingbrook, Romeoville, Lemont, Plainfield, Homer Glen, and New Lenox, IL. April 13, 2017: 3 p.m. - 7 p.m. Hiring for stores located in West Chicago, Carol Stream, Glendale Heights, Addison, Glen Ellyn, Aurora, Wheaton, Lisle, and Naperville, IL. April 18, 2017: 2 p.m - 8 p.m. Hiring for stores located in Schiller Park, Melrose Park, Northlake, Bellwood, Westmont, Aurora, Darien, Broadview, Morton Grove, Villa Park, Hoffman Estates, and Palatine, IL. April 18, 2017: 6 a.m. - 6 p.m.
April 21, 2017: 6 a.m. - 10 a.m. Hiring for stores located in Montgomery, Rochelle, De Kalb, and Sugar Grove, IL. April 23, 2017: 7 a.m. to 2 p.m. Hiring for stores located in Morton Grove, Villa Park, Hoffman Estates, Palatine, Chicago, Harwood Heights, Niles, Streamwood, Buffalo Grove, Mount Prospect, Des Plaines, and Prospect Heights, IL. April 22, 2017: 9 a.m. - 2 p.m. Hiring for stores located in Elk Grove Village, Arlington Heights, Skokie, Evanston, and Schaumburg, IL. April 24, 2017: 6 a.m. - 11 a.m.
April 27, 2017: 6 a.m. - 10 a.m.
April 27, 2017: 7 a.m. - 9 a.m.; 4 p.m. - 6 p.m. Hiring for our stores located in Glen Ellyn, Bellwood, Aurora, Wheaton, Lisle, Westmont, Naperville, Darien, Oswego, & Broadview, IL.